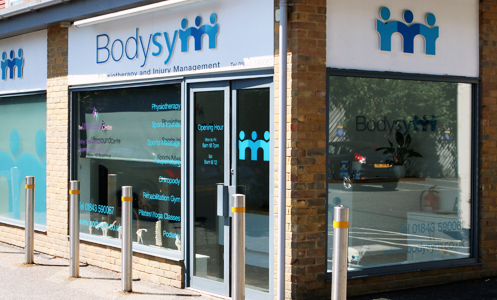 Lots of the Bodysym staff love doing sport, so we know how fulfilling exercise can be. Apart from the obvious health benefits, the sense of camaraderie and achievement makes us all feel good. We understand that keen sportspeople want a speedy return to full fitness after injury, so they can feel ‘normal’ again. And we can help at any time – from the day after the incident, or close to the time when you plan to return to sport. Our experienced team can tailor a programme of sports-specific rehab for you. By analysing your movement and sports technique we can help your recovery – and perhaps even enhance your sporting performance once the injury has healed!